A portion of the oxidation dumps. A former opencast Li-Sn-Be-Nb-Ta-mica-stone (crushed/broken) occurrence/mine. Started about 1938 and owned by the Foote Mineral Co. The Foote Mine has been closed to collecting for many years and most of the dumps and workings have been reclaimed. 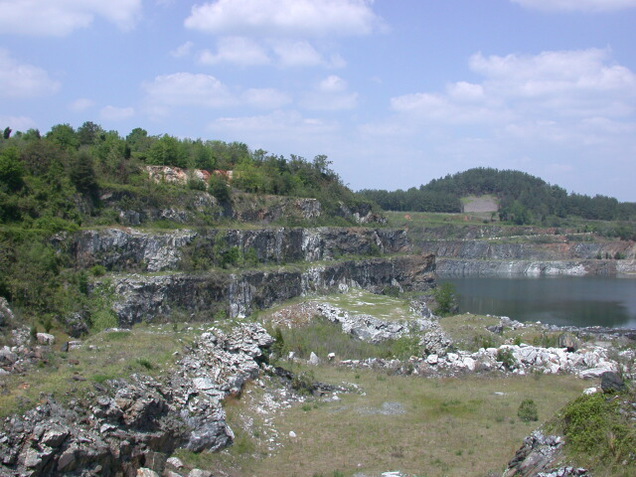 Mineralization is a lithia-bearing granite pegmatite (quartz-microcline-spodumene pegmatite), hosted in the Cherryville Quartz Monzonite, schist and amphibolite. Famous for a variety of rare phosphates and silicates. Local structures include the Kings Mountain Belt. UPDATE 3-24-2019: The Foote Mine and it’s operations are now under the ownership of the Albemarle Corporation. Collecting of any kind is now strictly prohibited on the entirety of the property. Signs are posted and violators will be prosecuted. 161 valid minerals. 15 (TL) - type locality of valid minerals. 2 erroneous literature entries. Habit: Splintery prismatic to blocky. Colour: Brick red, brown from weathering. Description: Most frequently encountered in the contact zone. 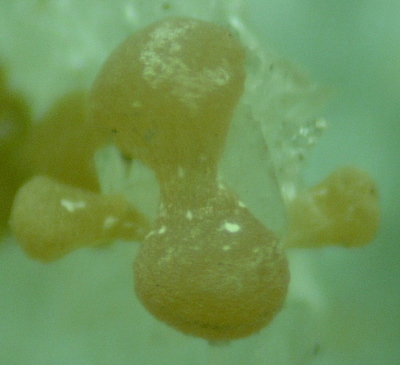 Most specimens retained are uninspiring micros. Reference: Collections of Jason Smith, Steve Adams, Roger Barnett and others. 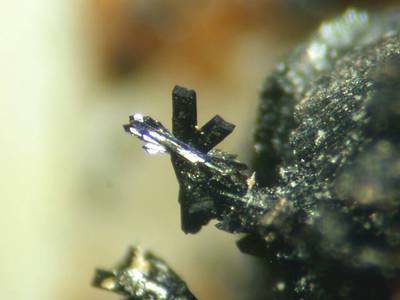 Description: Colorless xls found rarely on fractures in holmquistite. Description: Found on "east dump". 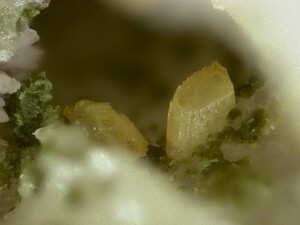 Description: Tiny prisms with pyrite, cassiterite, and parsettensite in cavities in albite. Habit: Tabular, flattened tetragonal plates. Description: Very nice, transparent xls in highly oxidized cavitites. 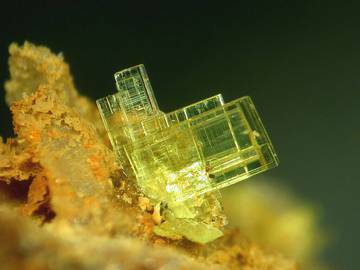 Description: Very rare occurence as the slices of "bread" on autunite "sandwiches" and as single, tiny tabular xls that do not fluoresce associated with rockbridgeite, strengite, and other iron-rich phosphates. 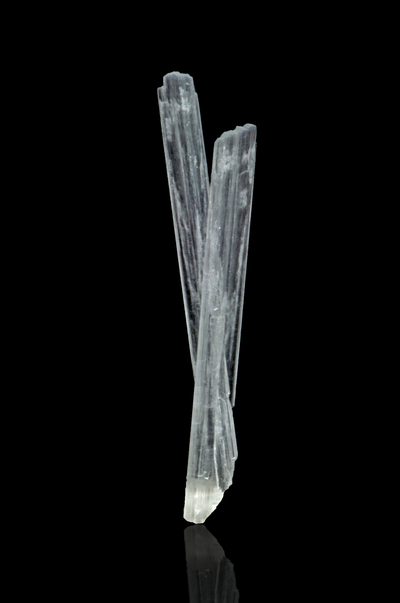 Habit: Prismatic, striated prisms and curved accicular needles. 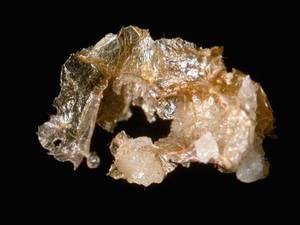 Description: Occurs in almost every paragenesis as bladed, sharp crystals or bowtie groups and accicular bundles of curved crystals. Habit: Accicular, in bundles with radial arrangement or occasionaly as sharp singles. Description: Usually slender prismatic blades. Less common are thin tabular plates, typically in bundles like a file drawer in dis-array. 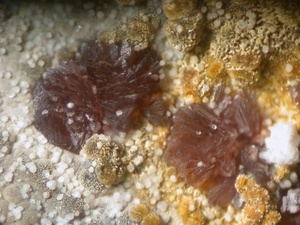 The lack of fluorescence would distinguish such crystals from brannockite. 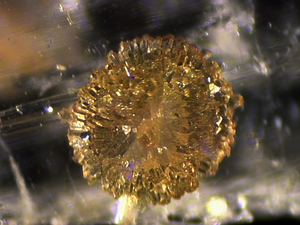 Habit: Crystals faces rare, incomplete. Usually embedded grains. Colour: Majority is white (and overlooked). Emerald is known. Also pale green, pale blue. Habit: Long tabular prismatic blades. Description: Generally conceded to be the world's finest locality for the species. 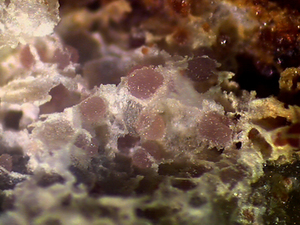 Description: Botryoidal clots or dendritic groups in the oxidized zone with phosphates. Pulverant. Habit: Tiny rosettes of hexagons. 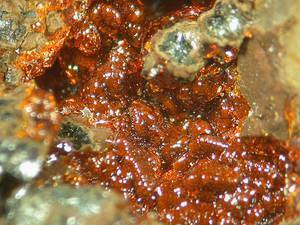 Description: A very rare mineral only found in the lithiomarsturite association with braonnockite, tetrawickmanite, Sn bearing titanite and others. Very few specimens known. 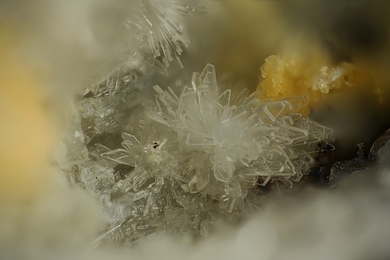 Habit: no distinct crystals observed. Description: Usually as small embedded grains. Colour: Colorless. Also white or off-white. Fluorescence: blue or blue-white SW. Important diagnostic tool. 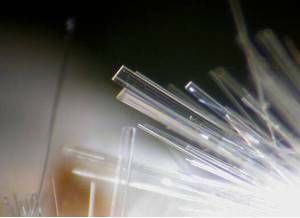 Habit: Tufts or smooth spheres of radially arranged acicular crystals. Description: Tiny smooth spheres to clusters with more distinct crystals. 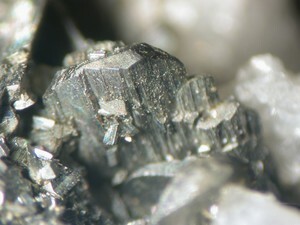 Description: Blocky xls to .7mm with coatings of monazite-Ce on holmquistite with pyrite. 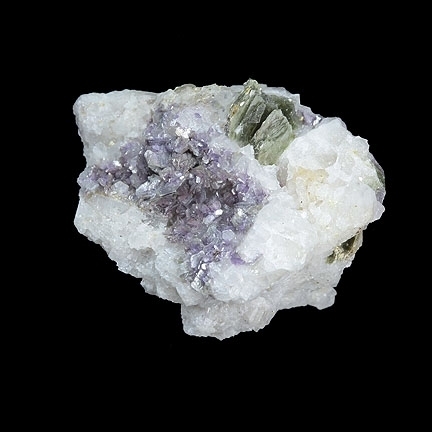 Reference: Mineralogical Record (1987): 18: 203-205. Description: Verified by EDS in 2004. Habit: Platy prisms, platy to irregular masses. Colour: Black, lustrous or submetallic. Description: See further under fersmite. 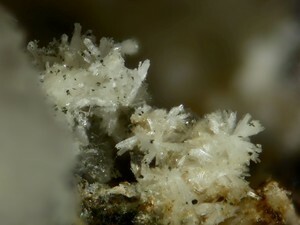 Description: "There is no dolomite at Foote" quoting Foote Mine mineral authority Jason Smith. 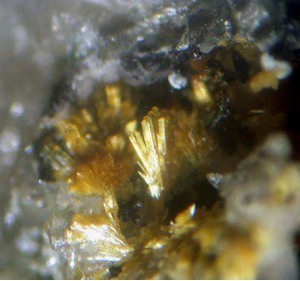 "It makes no sense for there to be any dolomite, magnesite or montgomeryite given the complete absence of secondary magnesium at Foote" quoting geologist and Foote Mine collector Kenny Gay. Reference: jbs collection Smithsonian Institution Mineral Reference Collection No.165800-00,134271-00,134273-00 and 134274-00. 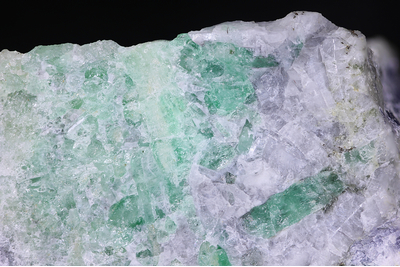 Description: Most of the distinctively green acicular material in the rockbridgeite series at this mine is frondelite, but analysis has turned up occassional examples of dufrenite - very rare at Foote. 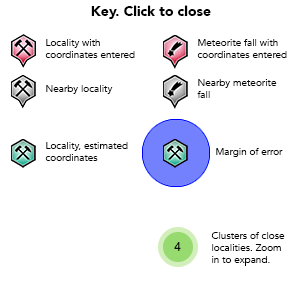 Description: Only locality for crystals. 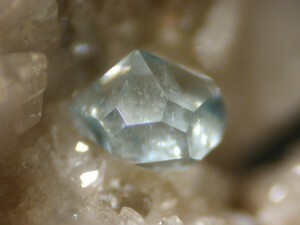 Topaz-like prismatic crystals up to 5/8ths inch. 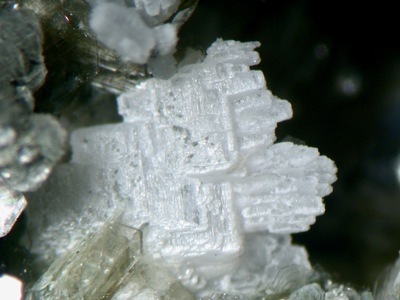 Habit: Crystals very rare, usually subhedral colorless. Fluorescence: Brilliant red SW - diagnostic. 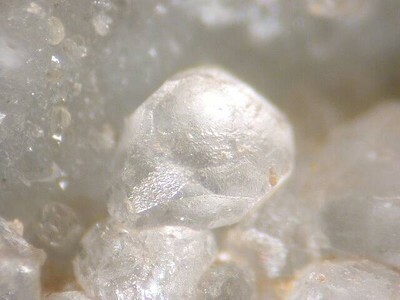 Description: One of very few localities with known crystals up to 5mm, some with many faces. 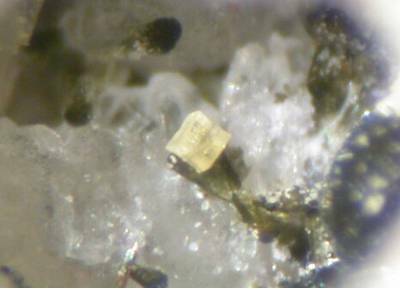 Found in thin fractures in altered spodumene. Colour: Cream, beige, white, pinkish, golden, tan, colorless. 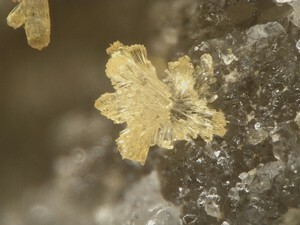 Description: The known diversity, quality and quantity of this species soared after its recognition at the Foote Mine, which remains - although not the type locality - the word's premier locality for fairfieldite. Reference: Mills, S.J., Grey, I.E., Kampf, A.R., Macrae, C.M., Smith, J.B., Davidson, C.J. 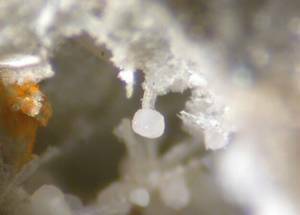 and Glenn, A.M. (2016) Ferraioloite, a new secondary phosphate mineral from the Foote mine, USA. European Journal of Mineralogy, 28(3), 655‒661. Habit: Diverse. Euhedral to anhedral, equant, tabular, prismatic, etc. Colour: Purple, lavender, sky blue, yellow, brown, mauve, pink, aqua, etc. 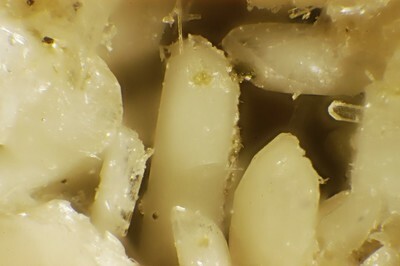 Habit: Prismatic, tapering barrells to 1.7mm in groups to 3mm. Colour: Pale to bright yellow and yellowish-orange. Description: Found on dumps. 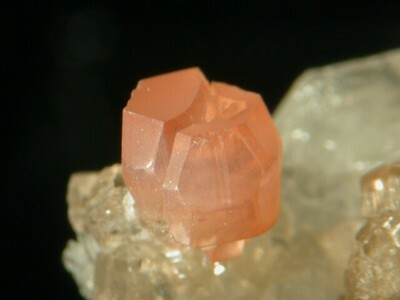 Associated with milarite, rhodochrosite, analcime, fairfieldite, apatite, and eosphorite. 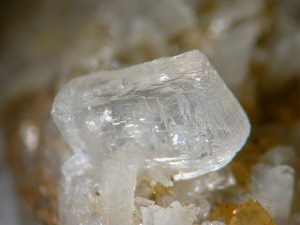 This same phase was found in the mid 70s in a similar assemblage with much smaller crystals. Reference: Atencio, D., Matioli, P.A., Smith, J.B., Chukanov, N.V., Coutinho, J.M.V., Rastsvetaeva, R.K., Möckel, S. (2008): Footemineite, the Mn-analog of atencioite, from the Foote mine, Kings Mountain, Cleveland County, North Carolina, U.S.A., and its relationship with other roscherite-group minerals. American Mineralogist, 93, 1-6. 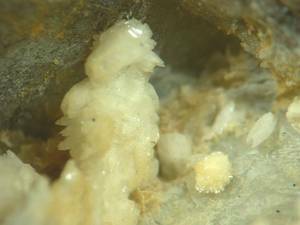 Description: cleavages in fresh pegmatite. very rarely encountered. Reference: Jason Smith collection, Kenny Gay collection (former Steve Adams collection). Description: As blue-grey to lavender-grey fibrous or felted masses, usually with intermixed biotite and chlorite, blanketing the entire pegmatite body at its contact with the schist country rock. While not impressive, this is a good source for samples of the species. Description: Found a whole flat full of the material in august of 2003 in Louis Shrums garage. 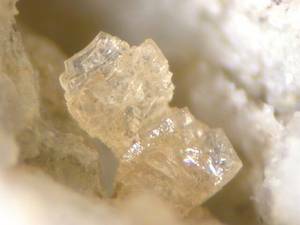 Verified optically as hydromagnesite. No longer dubious. Jason S.
Habit: Opaque, white hexagons in the oxidized zone. 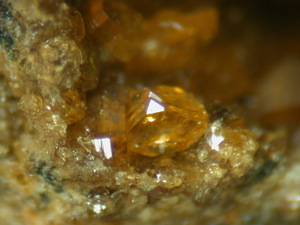 Description: Stubby, opaque white xls with beraunite, eosphorite, and etched fluorapatite in the oxidized zone. 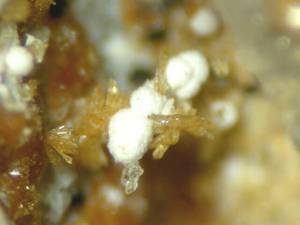 Description: Occurs in lithia pegmatite. Description: I have found this species on specimens dating back to 1967. 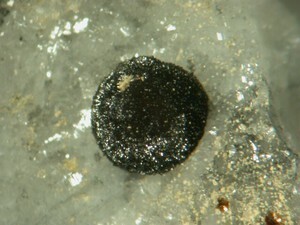 Commonly was found then in the oxidized zone and mislabled as faifieldite. More commmon than previouly thought. I have seen over 40 specimens now in other collections and have collected at least twice that many. Jason S.
Reference: Mills, S.J., Grey, I.E., Kampf, A.R., Birch, W.D., MacRae, C.M., Smith, J.B. and Keck, E. (2015) Kayrobertsonite, IMA 2015- 029. CNMNC Newsletter No. 26, August 2015, page 944; Mineralogical Magazine, 79, 941-947.;Mills, S.J., Grey, I.E., Kampf, A.R., Birch, W.D., MacRae, C.M., Smith, J.B., Keck, E. (2016): Kayrobertsonite, MnAl2(PO4)2(OH)2·6H2O, a new phosphate mineral related to nordgauite. European Journal of Mineralogy, 28, 649-654. 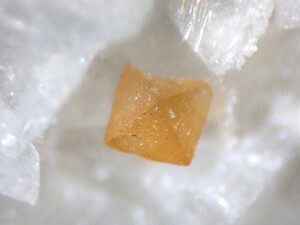 Habit: rhombic; also as "slightly divergent crystal bundles with irregular terminations"
Colour: "sherry," with very light color in terminations and edges. 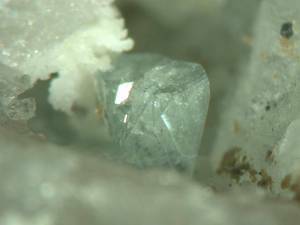 Description: "Each vug examined is lined with euhedral white albite crystals, upon which have grown transparent prismatic fluorapatite crystals, usually pale violet in color, and pyrite in simple cubes. 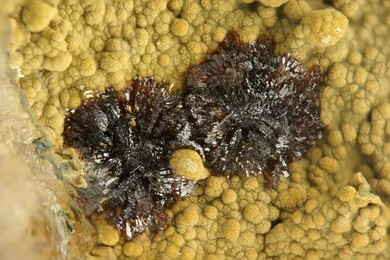 Sprays of bavenite occur commonly, either in clusters of delicate. 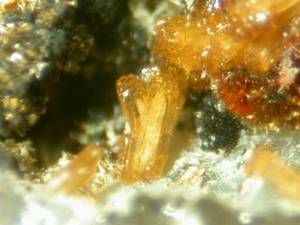 Also associated with brannockite, tetrawickmanite, and stannian titanite. Reference: American Mineralogist, volume 75, pages 409-414, 1990. Habit: Prismatic single or stellate, also equant, semi-rhombic, others. Colour: Transparent orange, peach, pink, pale to dark. 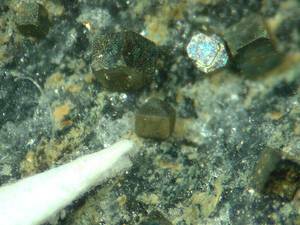 Description: Worlds finest lithiophilite locality. Single xls to 2.4cm have been collected. Beautiful micro xls to 4mm were common right before the end of quarrying. Description: Extremely rare. Large xl on matrix in the smithsonian collection. 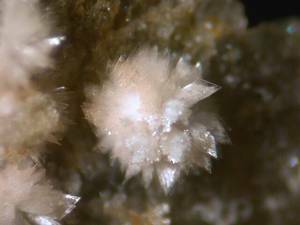 Description: "It makes no sense for there to be dolomite, magnesite or montgomeryite given the complete absence of secondary magnesium at Foote" quoting geologist and Foote Mine collector Kenny Gay. Description: Very rare at Foote. 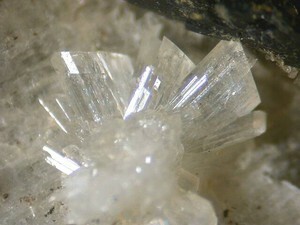 Description: Fine crystals to around 2mm. 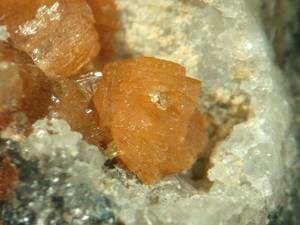 Associated with hureaulite, rittmannite, eosphorite, etc. Reference: Jan H.Bernard and Jaroslav Hyrsl,2004,Minerals and their Localities,pg #376, Smithsonian Institution Mineral Reference Collection No. 170110-00 and 168575-00. 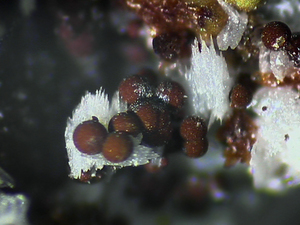 Habit: Pulverant white balls to very rare sharp, platy crystals in tiny groups. Description: Pink to brown bundles of tabular xls. 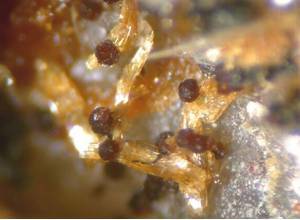 Looses moisture rapidly and over the years the crystals delaminate. 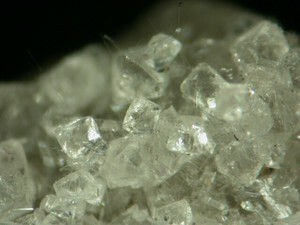 Crystals up to 6mm. Habit: Drusy at 40x or higher. Colour: Olive green to cinnamon-tan. Greener >Fe, tan >Mn. 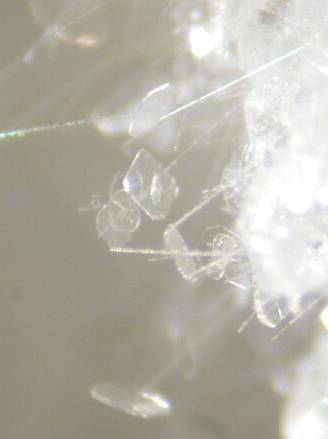 Description: Not uncommon as unimpressive secondary stains of early paragenesis, often with more desirable phosphates crystallizing over it. 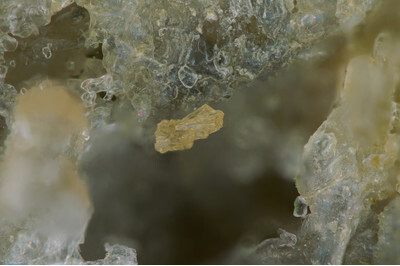 Description: As coatings on calcioancylite-Ce xls on holmquistite with pyrite. 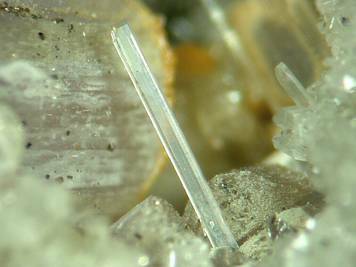 Description: radially arrange accicular xls on quartz. One-time find. 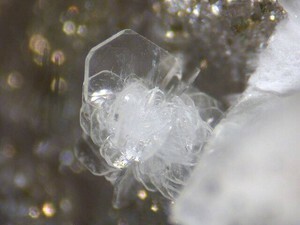 Habit: Very nice crystals can be collected, but they are usually micro. Habit: None. 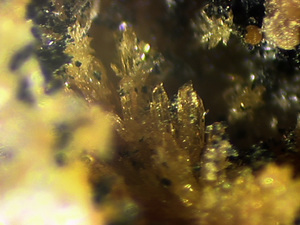 "waxy or pitchy with a conchoidal fracture"
Reference: Mineralogical Record, vol. 18, March-April, 1987, pages 133-134. 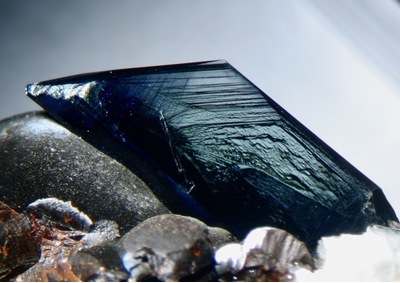 Description: Among the kastningite photos accessed on the Foote Mine roster is one labeled "kastningite, nordgauite" which states that the nordgauite was confirmed by PXRD. 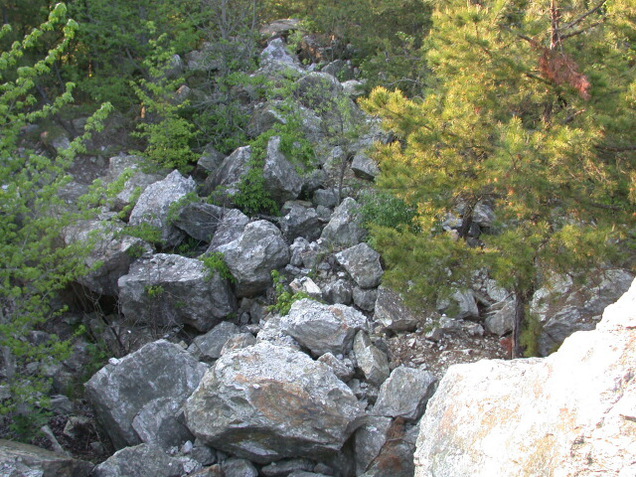 The photo is copyright 2007 by Foote Mine authority Jason Smith. 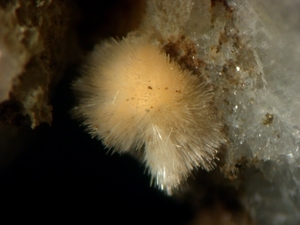 Further, under MinDat's listing for the species nordgauite is a photo of the species with the Foote Mine given as the locality. This is stated to be in the collection of luigi Chiappino, photo by Germano Fretti. Fluorescence: Mildly fluorescent yellow SW UV. Unlike the vividly yellow fluorescence of richer hyalite well known from the Spruce Pine pegmatites, Mitchell County, NC. The difference is in the extent of uranium salts - present but diminutive at Foote but much richer in the Spruce Pine pegmatites. 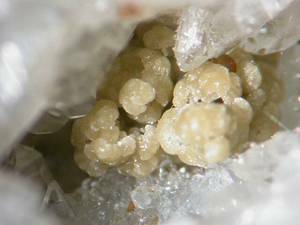 Description: Opal in the variety of "hyalite" occurs as colorless thin bubbly patches on seam surfaces, formed on the underside of horizontal seams in the rock. 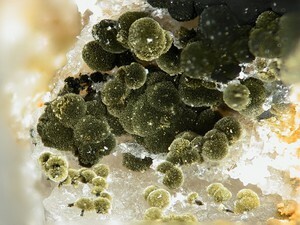 It frequently coats stains and coatings of green to black secondary phosphates (mitridatite, rockbridgeite) which show through the colorless opal. Description: Confirmed in early 2004 in several specimens from one boulder on the dumps. Colour: Pearly brown, golden-tan or non-metallic bronze, alters to black. Description: Formerly "unknown #2." Sometimes confused for meta-switzerite (and vice-versa). Certainly the worlds best locality for the species. Reference: Smithsonian Institution Mineral Reference Collection No.165800-00,134271-00,134273-00,and 134274-00. 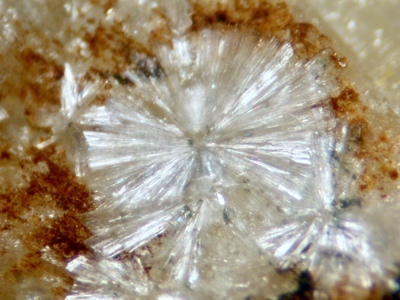 Description: Nice crystals to 7mm. One occurence with scholzite, schoonerite, etc. Description: Nice tabular xls associated with other phosphates. Has been collected 4 times by myself (jason smith) and I assume it is in someone else collection out there somewhere. Habit: Cubo-octahedrons, cubes, octahedrons. Diploids rare. 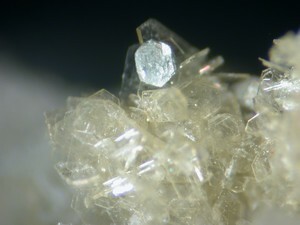 Description: Nice crystals in micro sizes common, but larger specimens of quality unknown. 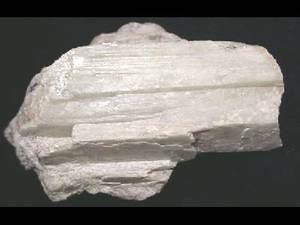 Description: Good crystals are usually very small. 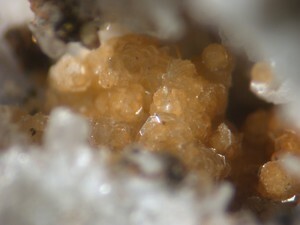 Abundant as sugary-granular masses in the pegmatite pulverized from tectonic stress. 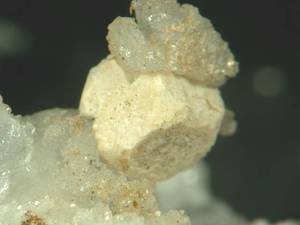 Description: True, monoclinic roscherite is found here. 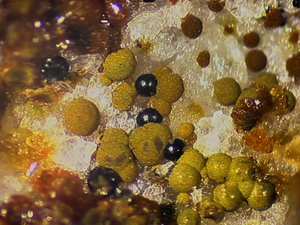 Most of the older specimens labelled roshcerite are most likely footemineite. 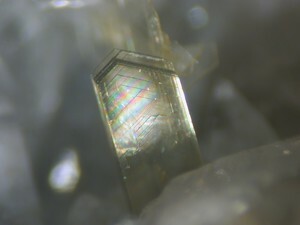 Description: Blocky to tabular xls with phosphophyllite. 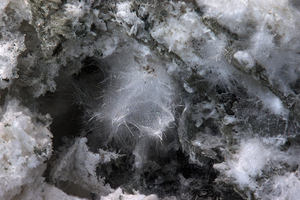 Parascholzite is probably present but material has not been X-rayed. 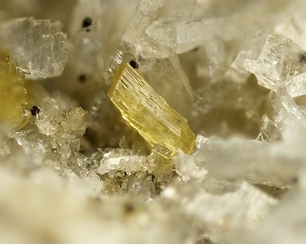 Description: Associated intimately with phosphophyllite and scholzite on only six specimens. 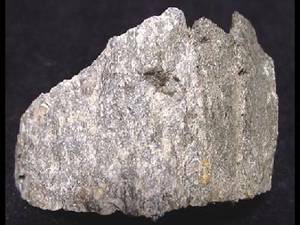 Description: Abundant in the schist country rock, occassional in contact zone and essentially absent deeper in the pegmatite. Terminations rarely observed. Colour: Usually pale celery-green and opaque. 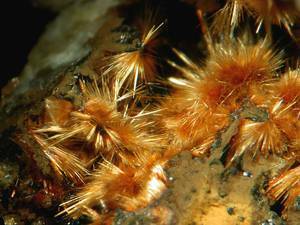 Description: Ubiquitous in the pegmatite, being the ore mineral sought here. 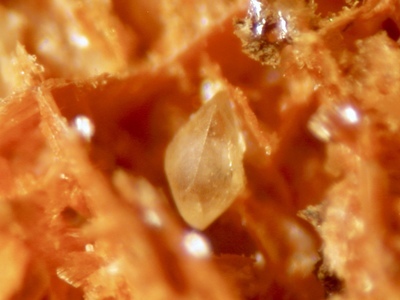 Among the world's richest deposits of the mineral (20% of pegmatite). Hard to collect uncleaved crystals. Size reaches about twenty inches long by four inches wide, but most are less than six inches long. Description: In the metamorphic country rock. Colour: Usually colorless or white. Mn-rich examples pink or lavender. Description: At Foote the mineral is aluminum-rich and iron-poor. Green colors unobserved. May be hard to distinguish from phosphosiderite. 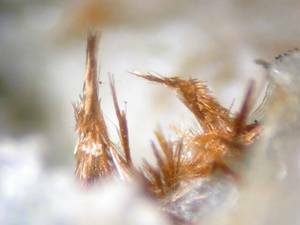 Description: Tiny xls in casts left behind by pyrite xls in the oxidized zone with strengite. Habit: A clay. Hydrated: "resemble petroleum jelly." Stable: "resembles mountain leather." Colour: "light greenish-grey to greyish olive." Old dump material turns dark. 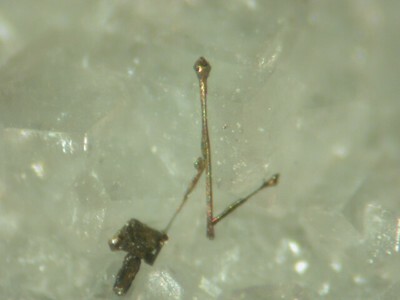 Description: With parsettensite or tremolite. 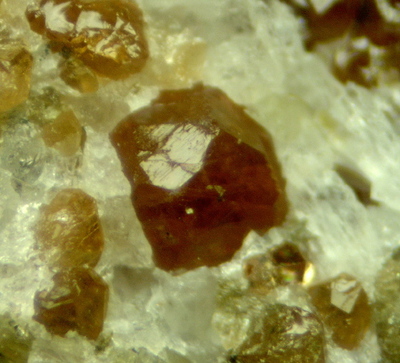 Also found in wall-rock (country rock) in seams with prehnite and calcite. Habit: Pseudooctahedral, basal pinacoid; also subhedral. Forms (112), (001), also (100) faintly. 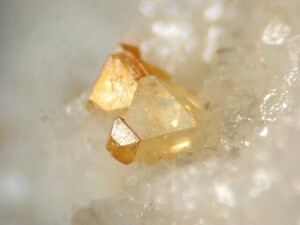 Colour: Honey yellow, yellow-brown, "turbid brownish orange"
Description: Crystals up to 1.5mm. Reference: To many to list here. If interested, we can e-mail them to you. 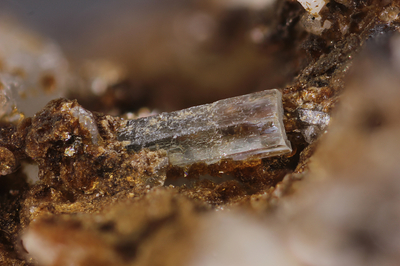 Description: Confirmed on a small number of specimens associated with mangangordonite xls. Reference: Rocks & Min. :60:65 & 76-83. 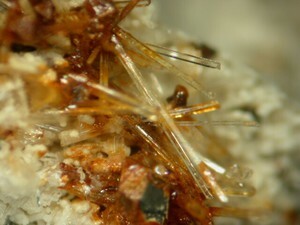 Habit: Red Brown single thick bladed crystals with strengite and rittmanite. Description: Anthony Kampf PXRD confirmed 2014. 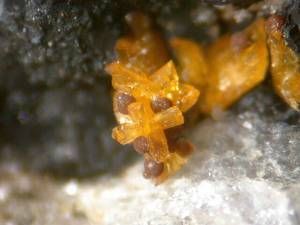 Description: Found as subatomic crystals in fluid inclusions in spodumene in the pegmatite. 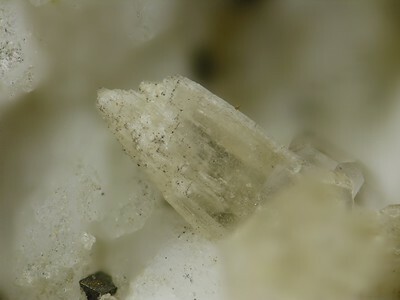 Description: This mineral does not occur within the body of the pegmatite, but it is present in the country rock along the contact zone associated with holmquistite. 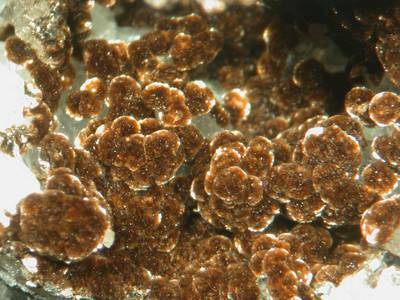 The mineral appears as brown flakes of easily-visible size resembling phlogopite. Description: Sericite schist, locally with graphite, phyllite with sericite quartzite, banded marble, amphibolite, and minor calc-silicate rock. Kesler, T.L. (1942) The tin-spodumene belt of the Carolinas. United States Geological Survey Bulletin 936-J: 245-268. Griffitts, W.R. (1954) Beryllium Resources of the Tin-Spodumene Belt, North Carolina. United States Geological Survey Circular 309. Brannock, K.C. 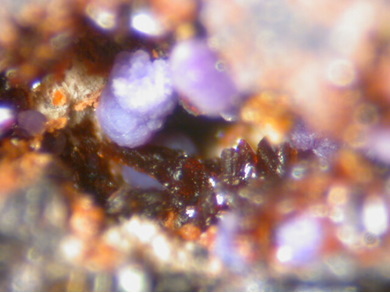 (1967) Rocks and Minerals, 42 (June), 403-406. White, J.S., Jr. (1969): A lithiophosphate occurrence in North Carolina. American Mineralogist 54, 1465-1467. Leavens, P.B., White, J.S., and Hey, M.H. 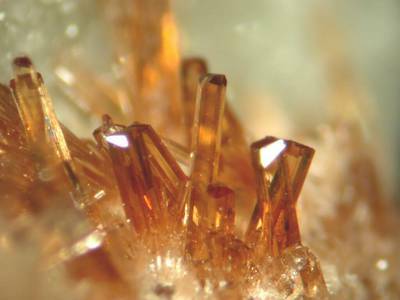 (1970) Eakerite--a New Tin Silicate. 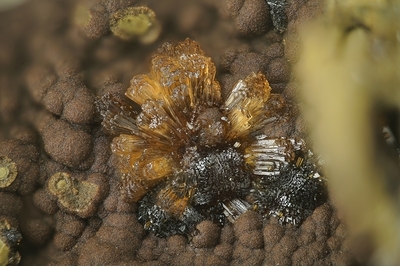 The Mineralogical Record, 1(3), 92-96. White, J.S. and Nelen, J.A. (1973) Tetrawickmanite, Tetragonal MnSn(OH)6 A New Mineral From North Carolina, and the Stottite Group. 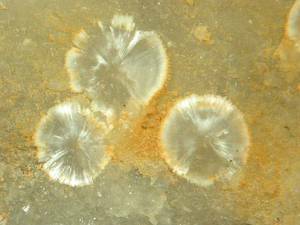 The Mineralogical Record, 4(1), 24-30. White, J.S., Arem, J.E., Nelen, J.A., Leavens, P.B., and Thomssen, R.W. 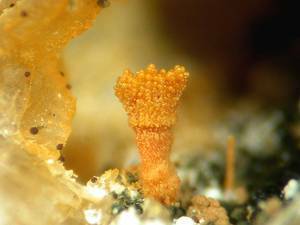 (1973) Brannockite, a new tin mineral. 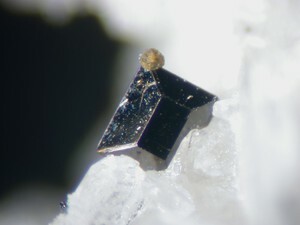 The Mineralogical Record, 4(2), 73-76. Rocks and Minerals (1975) (November-December). Thomssen, R.W. and Anthony, J.W. 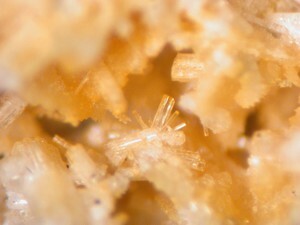 (1977) Lithiophilite crystals from the Foote mine. 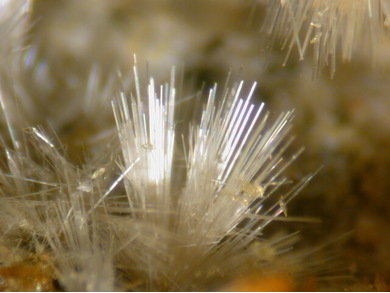 The Mineralogical Record, 8(2), 95-97. Rocks and Minerals (1978) (July-August). Dunn, P.J., Peacor, D.R., White, J.S. and Ramik, R.A. (1979) Kingsmountite, a new mineral isostructural with montgomeryite. Canadian Mineralogist, 17(3), 579-582. Wilson, W.F. and McKenzie, B.J. (1980) Mineral Collecting Sites in North Carolina: 50. White, J.S. 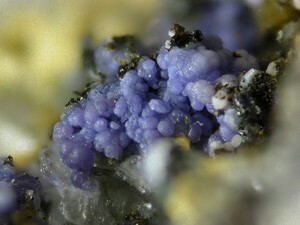 (1981) Mineralogy of the Foote Mine, Kings Mountain, North Carolina. Carolina Geological Society Field Trip Guidebook 1981, 39-48. Kunasz, I.A. 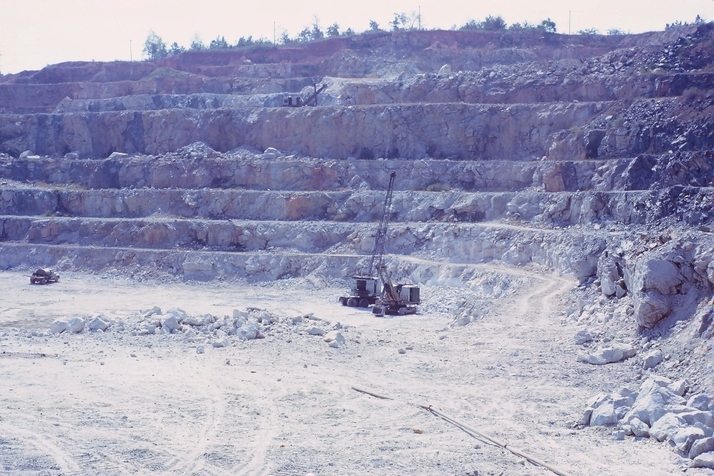 (1982) Foote Mineral Company, Kings Mountain Operation, in Cerny, P.(Editor): Short Course. Peacor, D.R., Dunn, P.J., and Simmons, W.B. 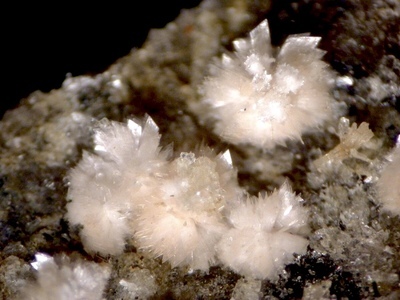 (1984) Earlshannonite, the Mn analogue of whitmoreite, from North Carolina. Canadian Mineralogist, 22(3), 471-474. Rocks & Minerals (1985) 60, 65, 76-83. White, J.S. and Nelen, J.A. 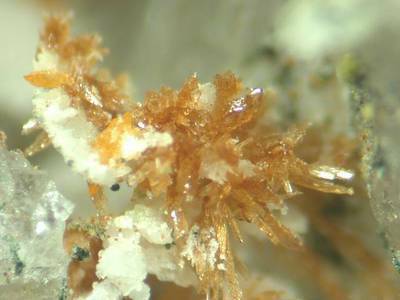 (1987) Monazite and Calcioancylite from the Foote Mine, North Carolina. 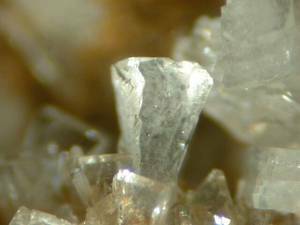 The Mineralogical Record, 18(3), 203-205. Peacor, D.R., Dunn, P.J., White Jr., J.S., Grice, J.D., and Chi, P.H. 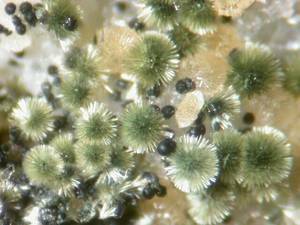 (1990) Lithiomarsturite, a new member of the pyroxenoid group, from North Carolina. 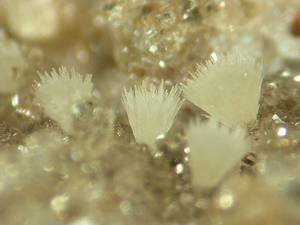 American Mineralogist, 75(4), 409-414. Tschernich, R. (1992) Zeolites of the World: 68. Anderson, A.J. et al. 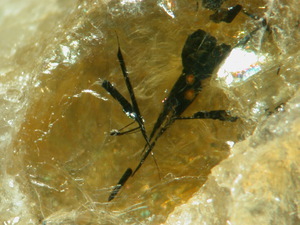 (1994) Zabuyelite in spodumene-bearing pegmatites. Geological Association of Canada - Mineralogical Association of Canada (GAC-MAC) Program Abstracts, 19, A3. White, J.S. (1994) Saddle-Shaped Rhodochrosite Crystals from the Foote Mine, North Carolina. 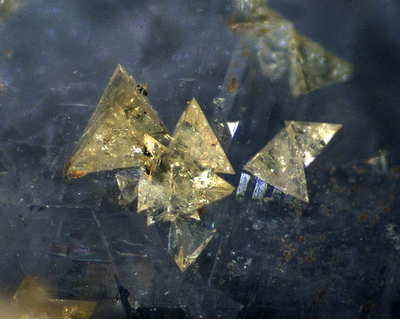 The Mineralogical Record, 25(2), 131. Anthony, J.W., Bideaux, R.A., Biadh, K.W., and Nichols, M.C. (2000) Handbook of Mineralogy, Volume 4, Arsenates, Phosphates, Vanadates. Mineral Data Publishing, Tucson, Arizona: 591. Freed, H. (2000) Forgotten Emeralds? 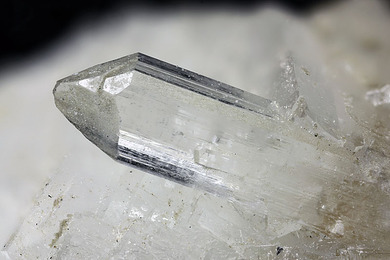 The Mineralogical Record, 31(6), 518. Bernard, J.H. and Hyrsl, J. (2004) Minerals and Their Localities: 67, 85, 106, 190, 198, 357, 376, 395, 567, 658. Atencio, D., Matioli, P.A., Smith, J.B., Chukanov, N.V., Coutinho, J.M.V., Rastsvetaeva, R.K., and Möckel, S. (2008) Footemineite, the Mn-analog of atencioite, from the Foote mine, Kings Mountain, Cleveland County, North Carolina, U.S.A., and its relationship with other roscherite-group minerals. American Mineralogist, 93, 1-6. Hogan, Davison L., Tabor, Beth M., Harper, John R., North, Brandon K., Vanhazebroeck, Ethan, Lawler, Jesse D., Saenger, Abigail L., Tayor, Nicholas J., Fleisher, Christopher J., and Swanson, Samuel E. (2012) Comparison of Mineralogy of Li Pegmatites In The Kings Mountain District, North Carolina. Geological Society of America. 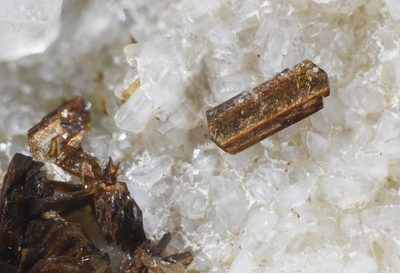 Saenger, Abigail L. and Swanson, Samuel E. (2012) Mineralogy of Primary Phosphate Minerals in Li Pegmatites of the Kings Mountain District, North Carolina. The Geological Society of America. 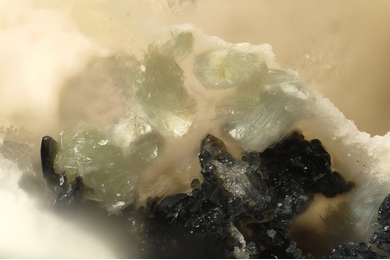 Mills, S.J., Grey, I.E., Kampf, A.R., Birch, W.D., MacRae, C.M., Smith, J.B., and Keck, E. (2016) Kayrobertsonite, MnAl2(PO4)2(OH)2·6H2O, a new phosphate mineral related to nordgauite. European Journal of Mineralogy, 28, 649-654.